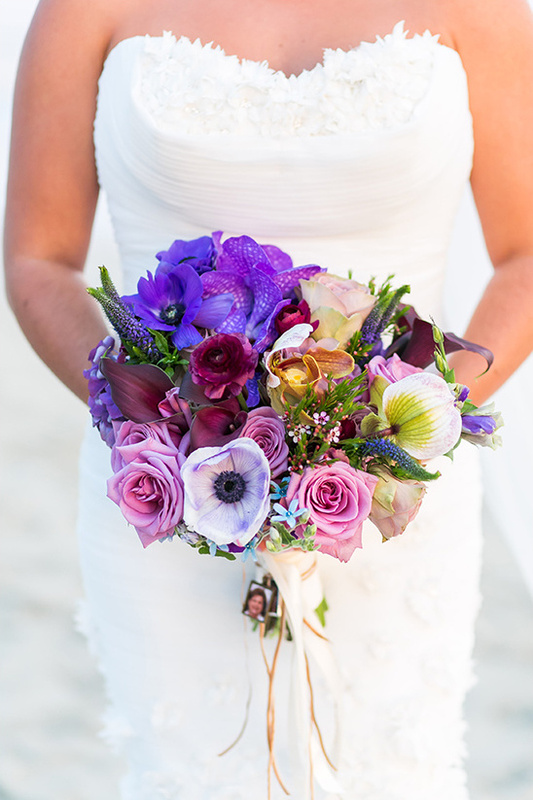 This wedding was inspired with a sort of MidSummer Night's magical charm combined with the couples love for film and the music from Baz Luhrmann films such as Romeo and Juliet and Moulin Rouge. 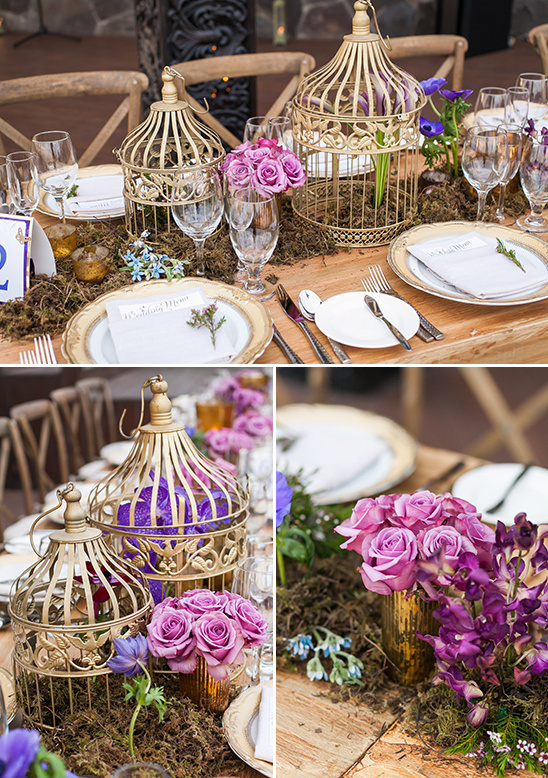 Shades of purple, green, and gold tones created a relaxed, elegant, and dreamy feel. 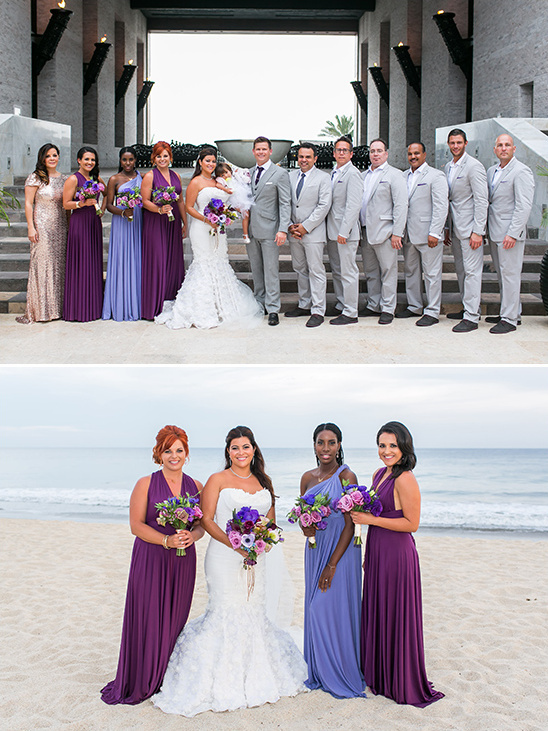 Grab some more stunning inspiration from this purple wedding on the beach in the full gallery here, photographed by Ana & Jerome Photography. 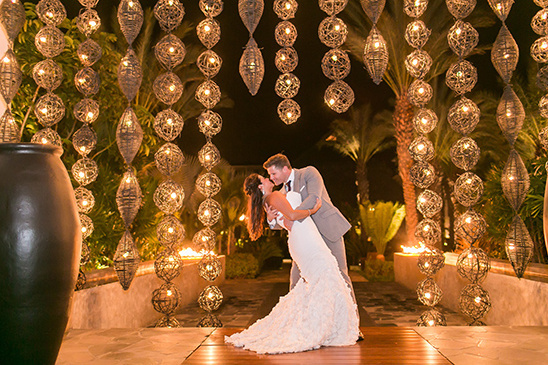 Intimate details were very important and symbolic for us. 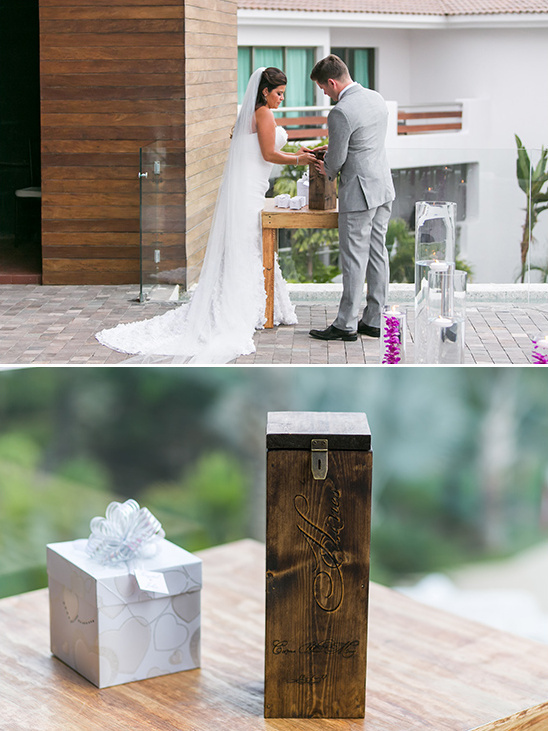 Everything was just dreamy from the invitations with gold foil, purple bridesmaids dresses, gold bird cages filled with flowers and moss.... candles and hints of butterflies could be found everywhere. 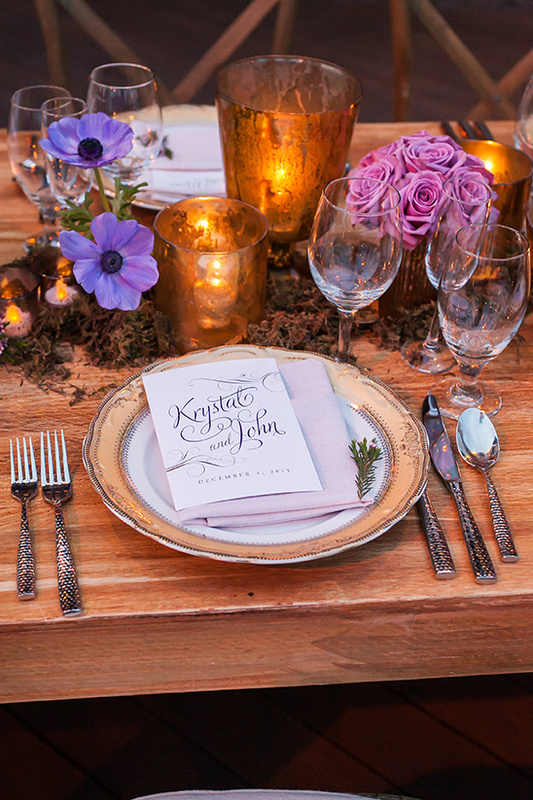 Our floral was designed to feel like an enchanted forest tablescape on a summers evening. Words from Signature Event Design and Consulting. 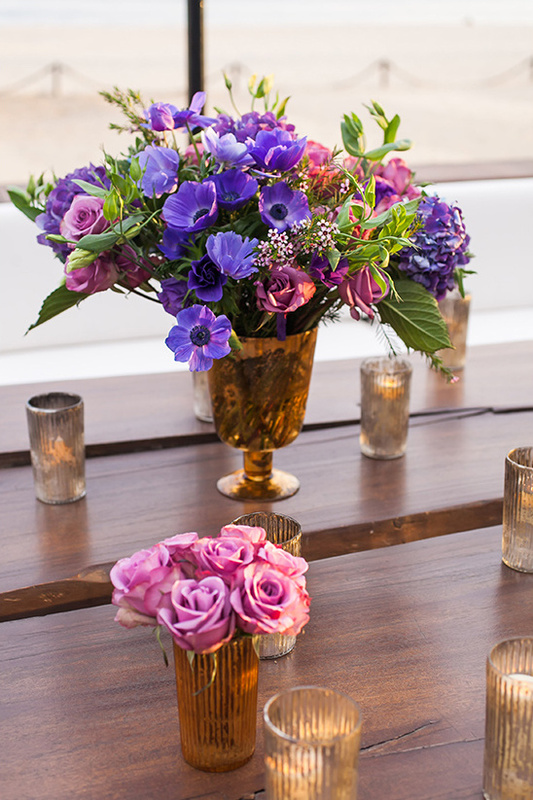 We teamed up with our friend Pina Hernandez to create floral arrangements that felt romantic with a touch of magic. 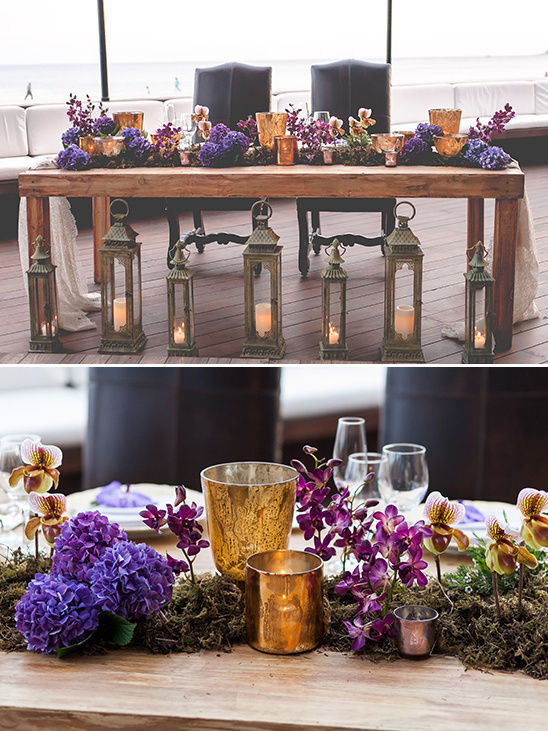 We used moss, green leaves, purple orchids and candlelight to create a very organic look. 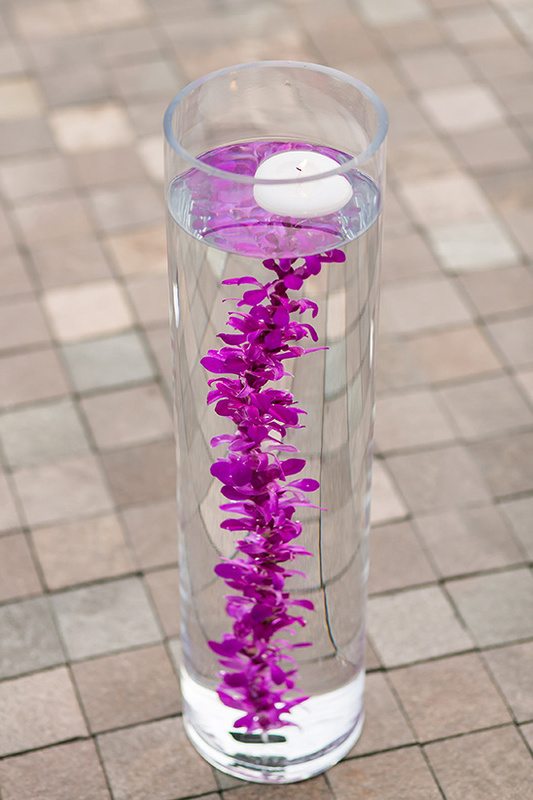 The floral arrangements have a lot of texture and we used the candle holders and votives to add different levels. 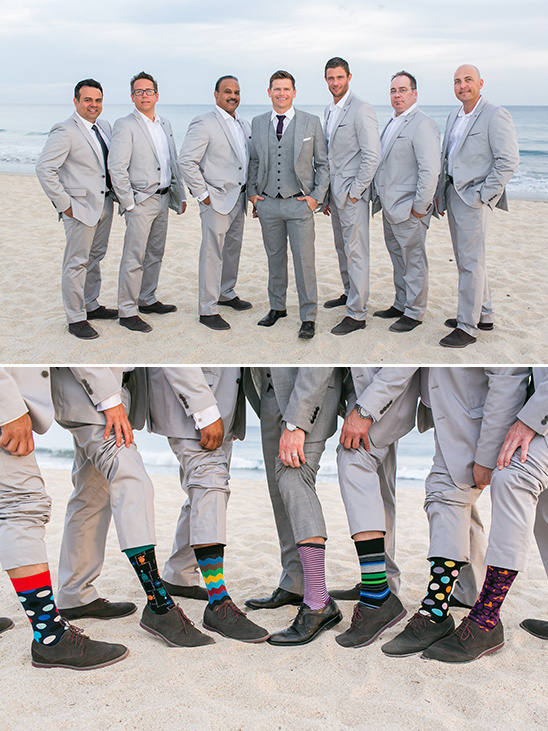 It is all about making the right combination of elements, mixing and matching is an art. 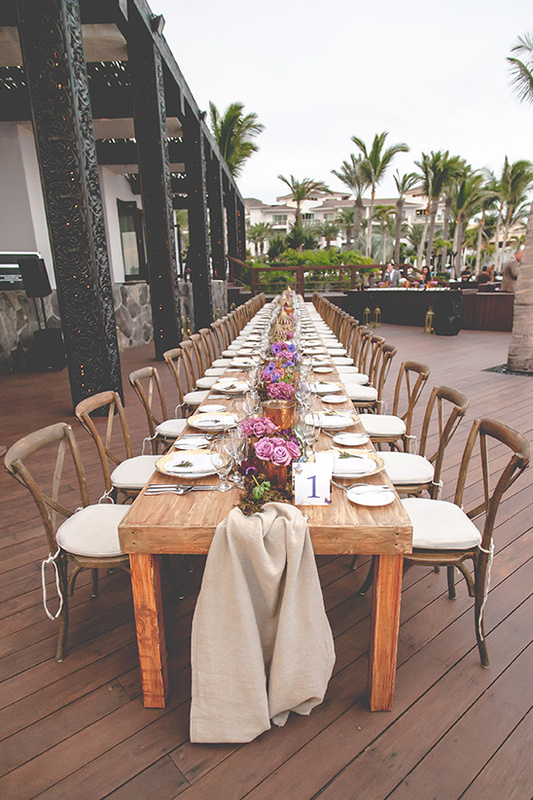 We love how the flowers are naturally flowing like a garden in the middle of the table. 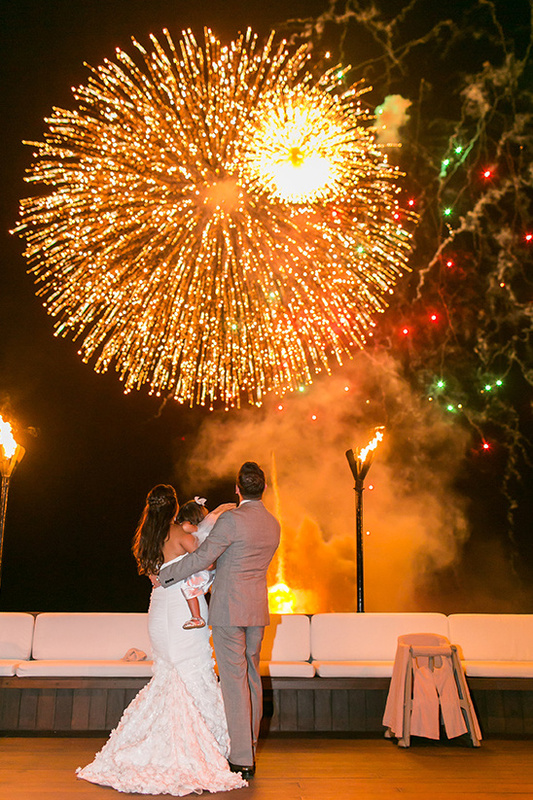 The Groom also surprised everyone (the bride included) by lighting up the night sky with fireworks, which were also inspired by a scene from the 1st movie the bride and groom had watched together "Meet Joe Black". 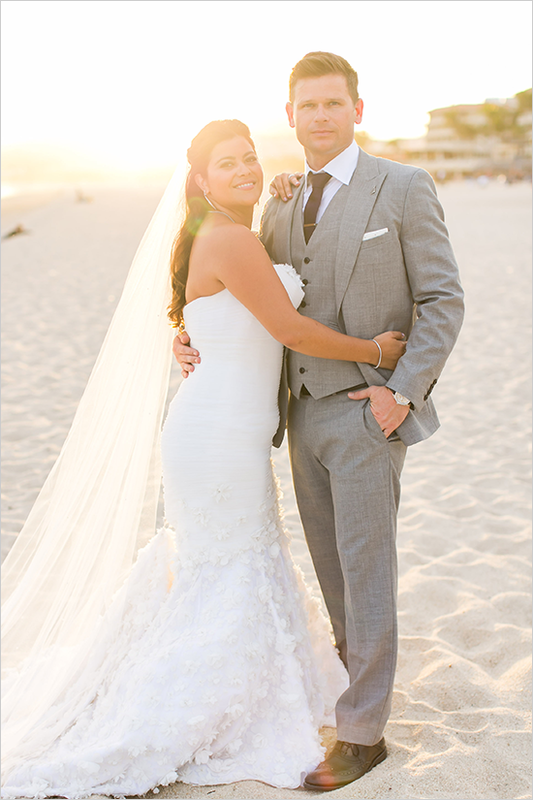 Krystal and John’s wedding was the perfect combination of glam and beauty, without forgetting what the celebration is truly about: love, family and connection.